Everyone has heard of acupuncture and its benefit effects but how many people actually know what acupuncture is or how it works? Acupuncture is conventionally defined as an alternative form of medical practice that involves the stimulation of certain points of the body using needles that penetrate the skin. 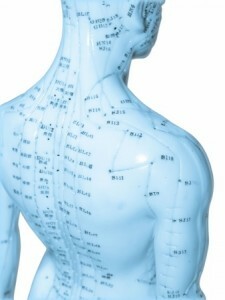 The aim of acupuncture is to treat certain conditions, but it is mainly used to alleviate pain. Over the course of the last decades, a variety of unbiased studies conducted by scientists has demonstrated that acupuncture is at least fairly effective in treating chronic pain and nausea. Considering the reluctance of western medicine representatives towards the effectiveness of acupuncture, the results are impressive. Dating back to the Shang Dynasty in 1600 BC, acupuncture is now an accepted medical practice for the treatment of nausea particularly useful for patients undergoing chemotherapy. Acupuncture is also used to treat pain across mainstream doctors and medical institutions. So what is acupuncture exactly? In order to understand what acupuncture is, you need to understand the theory behind it. Traditionally, acupuncture entails inserting very thin needles through the skin at specific points of the body and at various depths. Scientifically, no one knows how acupuncture works but its therapeutic benefits in alleviating nausea and pain are a matter of fact. As far as the philosophy behind acupuncture, traditional Chinese medical theory explains that the 350 points where the needles may be inserted are situated on meridians through which the vital energy of the body runs. This vital energy is referred to as gi or chi. The same theory considers that disruptions in the flow of the chi energy along the vital meridians are the cause of all disease. The role of the needles is to release the chi energy and allow it to travel freely through the energy meridians balancing the vital forces and restoring health. Although controversial among western medical scientists and doctors, acupuncture continues to be used as complementary medicine to alleviate pain and reduce nausea. Chinese doctors rely on acupuncture as an analgesic and not as an anesthetic as many people wrongly assume. Acupuncture is therefore a procedure that reduces pain, and not one that blocks sensation as an anesthetic does. What is acupuncture again? Today, western societies try to explain acupuncture using concepts of neuroscience. Therefore, the 350 points in acupuncture are considered places where one can stimulate nerves, connective tissue, or muscles. As a result of the stimulation, there is an increase in blood flow but also in the activity of the body’s natural release of painkillers, hence the analgesic effect of acupuncture.